Jackie Robinson was born in Cairo, Georgia in 1919. 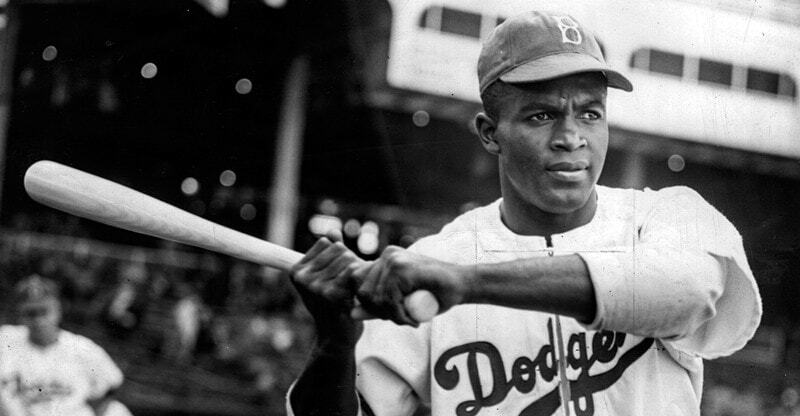 He is known to be the first ever black athlete to play major league baseball in the 20th century. He set a league record for stealing home 19 times during his career, he is termed as one of the highest-paid athletes in Dodgers’ history. Jackie settled with his wife Rachel and three children. The family faced racisms, death threats and insults but instead of getting affected, the couple braced through those insults, which lead them to become an advocate for Civil Rights Movement. Let’s take a look back at his legacy and contribution by reliving some wonderful and inspiring quotes spoken by this award-winning baseball athlete, Jackie Robinson. Life isn’t a race but the most important thing to remember is to keep on moving forward and strive harder to overcome any challenges life may throw at you. This is a memorable quote by Jackie which reflects the racism issues black people were facing during his time, and it sparked them to step up and fight for their rights, freedom, and equality on both white and black people in America. Jackie hates to lose and that made him achieve different world records that contributed to his success. Jackie and his wife faced racism insults during his career, this reminds us that respect is the most genuine and important thing a human can give to other people. Just like life, quitting is an act of weakness, know the fact that life isn’t a race, it may slow us down during our lowest point but remember to keep on moving forward, strive to win. Your life doesn’t revolve around other people’s life, you are the author of your own story, the only person who can turn each page is you. Racism is one of the problems that affected equality and human rights in America, Jackie and Rachel stood for equality. Jackie also promotes to choose a responsible and respectable leader during the election with people’s own free-will. Racism oppresses its victims but also binds the oppressors, who sear their consciences with more and more lies until they become prisoners of those lies. They cannot face the truth of human equality because it reveals the horror of the injustices they commit. In life, we meet people that teach us different life lessons, some may cause us troubles but there are other people that will help us to achieve our dreams and guide us on our journey to success, do not forget them. Like Jackie said, dignity is the most important thing that every person should have. Knowing when to walk away is wisdom. Being able is courage. Walking away, with your head held high is dignity. Every human has four endowments – self-awareness, conscience, independent will and creative imagination. These give us the ultimate human freedom… the power to choose, to respond, to change. Keep your dreams alive. Understand to achieve anything you need to have faith and belief in yourself, have vision, determination, and dedication and work hard. Remember all things are possible for those who believe. We all learn lessons in life. Some stick, some don’t. I have always learned more from rejection and failure than from acceptance and success. We all have points in our lives where two roads present themselves and we have to make a decision very fast. We don’t know how it will impact our lives, but it usually does. You have the opportunity to make a tremendous impact on the lives of the people with whom you work and live. Make the most of it. • Jackie Robinson won the unified Rookie of the year award when he was 28 years old and also broke into the Major Leagues. • Jackie first appeared in the major league baseball on US postage stamp in 1982. • Major Leagues decided to choose Jackie’s number (42) to be the first one to retire for every team, 50 years after he became the first black guy to ever play. • Jackie was named as most valuable player in 1949 by leading the National League for stealing bases and batting. Jackie also played for the Brooklyn Dodgers in one game and won the pennant. • Mack, Jackie’s older brother won second place in the 100M race in Berlin 1963 Olympics. • Jackie is not only known as a baseball player but also the first ever four-sport UCLA winner, playing the sports football, track, basketball and of course baseball. • He scored twice in basketball during the Pacific Coast Conference. • In 1940, he became a champion in NCAA with a record of 25 feet and 6.5 inches in broad jump. • He also achieved the all-American status in football. • Jackie Robinson was selected to throw out the first pitch at the 1972 World Series, the 25th anniversary of his breaking Major League Baseball’s color barrier, shortly before his death. Jackie Robinson leaves those encouraging quotes listed above to give us hope and faith that nothing is impossible, we can achieve our dreams. He also teaches us that nothing is superior to the other; he teaches us the main essence of equality and freedom. No matter what circumstances, obstacles, or challenges life may throw at us, he reminds us to keep on moving forward and fight for our rights. So, live your life with happiness and believe that your dreams can come true.